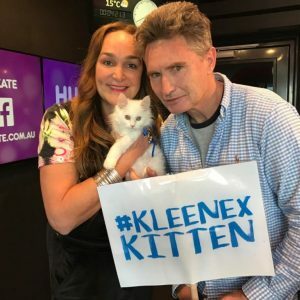 When word spread that Kleenex planned to replace its iconic puppy mascot, Australians were outraged; none more so than comedian and radio personality, Dave Hughes. 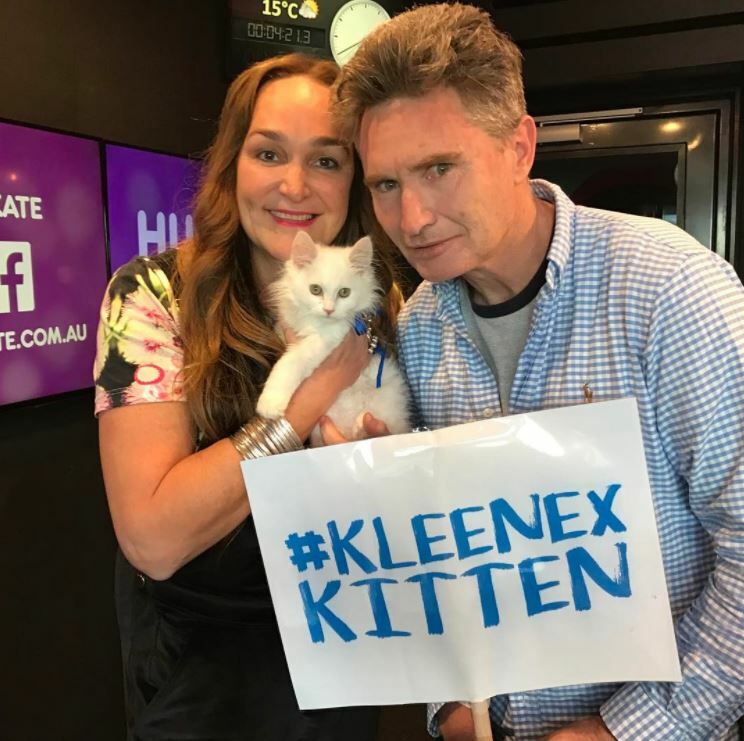 But, fellow KIIS co-star Kate Langbroek found the solution; the Kleenex Kitten! Even better, the purrfect candidate was waiting right here at the Home’s North Melbourne shelter. Ultra-soft and ultra-purry Norman, a three-month-old stray kitten, visited the KIIS studios for his radio debut, helping Kate on her quest to appoint the new spokes-animal. He stole the show with his adorable purrs! We’re yet to know whether Norman could be a contender for the role. But, there’s no denying everyone who meets him – Hughesy included – has a soft spot for the cuddly kitten. Norman (ID 1029744) is among the 64 cats and kittens currently up for adoption at The Lost Dogs’ Home, and every one of them is just as special and loving as him. 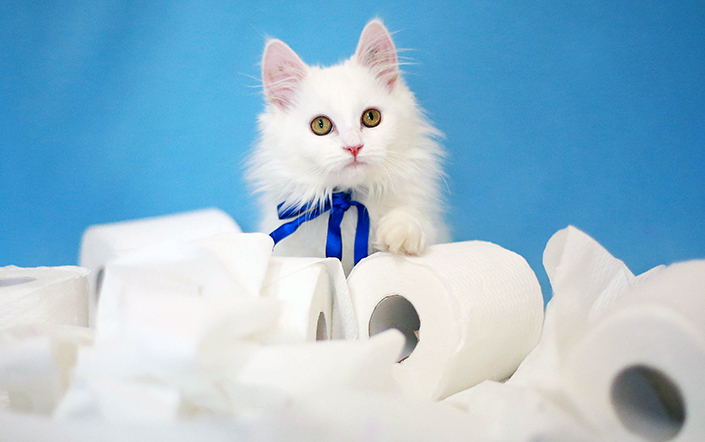 If you’re ready to get a new pet, you can change a life by adopting a shelter cat or kitten. With so many personality types to choose from, your perfect match is bound to be here waiting for you. View our adoptable cats and kittens here or meet them at our North Melbourne shelter.